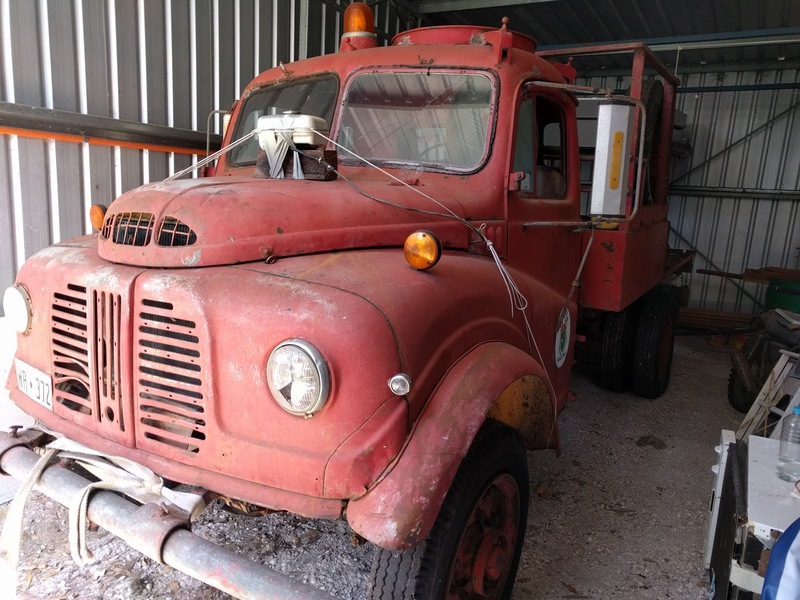 My father bought this 1953 Austin K9 truck from the local shire in 1992, the shire had used it as a fire truck so it has a big (rusty) water tank on the back. 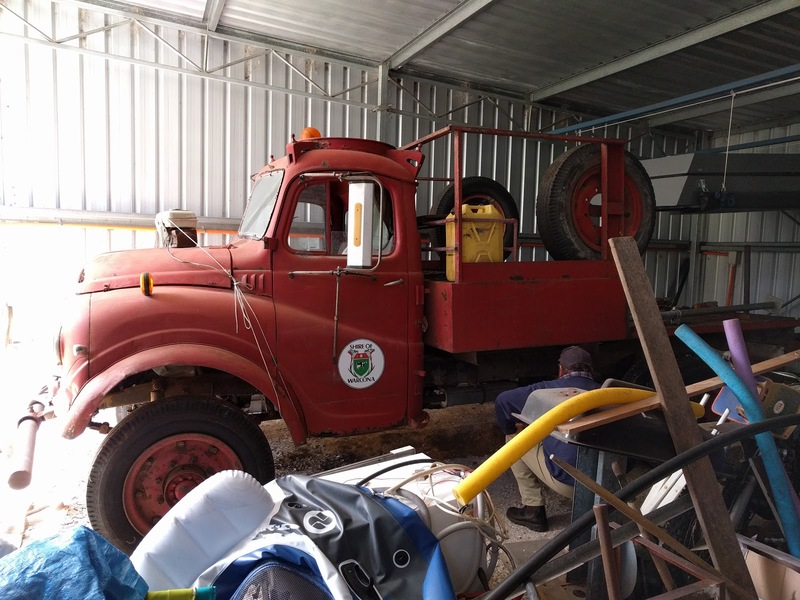 It has sat in his shed since then, it was used occasionally for watering plants around his property until the water tank in it rusted out. We still bring it out every now and then to enjoy just driving it to the beach or through the bush as it is quite a unique experience. Due to the age of the truck there are a few problems we need to fix before we drive it again, the first of these we fixed was the fuel pump. 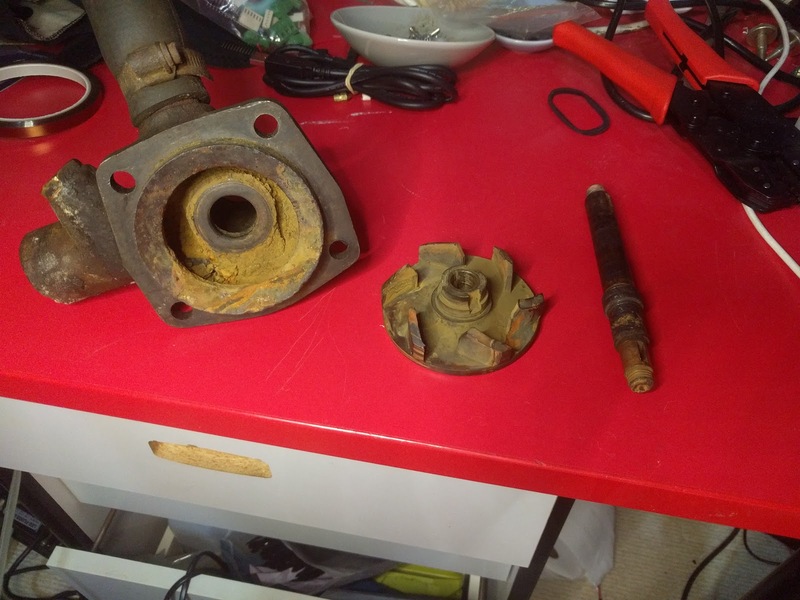 The original fuel pump was mechanical and used a flexible diaphragm and a one way valve to pump the fuel, unfortunately the diaphragm started to disintegrate so as a temporary fix we had a gravity fed fuel tank. This wasn't great as we couldn't go very far and you had to climb up to fill it with fuel.The fuel pump issue was easily fixed with a new 12v electric pump and some tubing, we also added in a new fuel filter just in case. The next major issue is the water pump, the bearings were so sloppy the shaft was visibly sagging and there was a significant leak of coolant out the front. 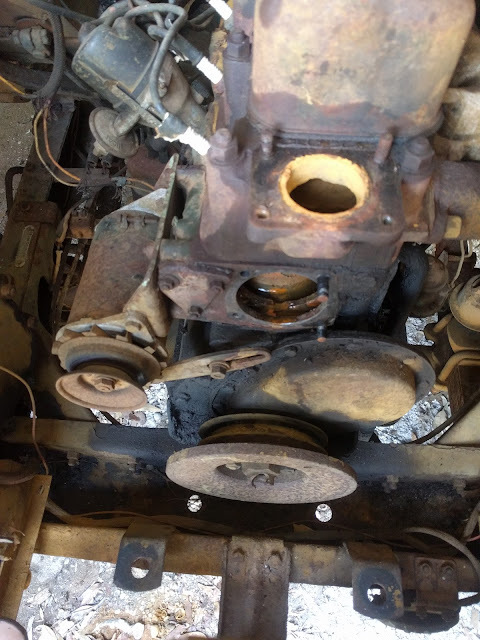 This photo shows the front of the engine with the water pump already removed. It isn't much fun working on this thing as all of the nuts and bolts are very odd sizes. We were switching back and forth between various imperial and metric sizes all day. 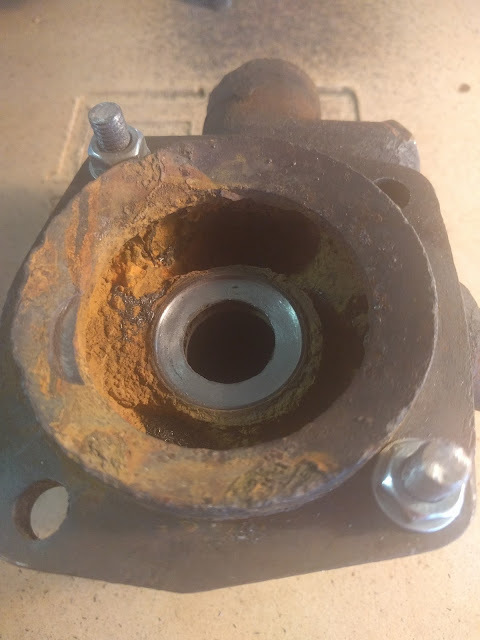 Below you can see the front section of the water pump which houses the bearings and the water seal butts up against it. 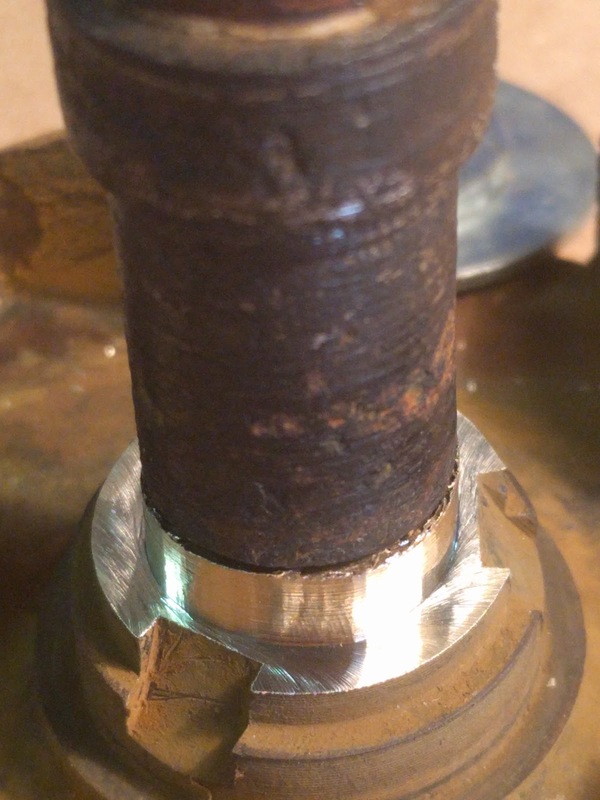 The impeller is in the middle and the shaft on the right. The plan is to replace the bearings. which involved taking them to a bearings supplier and getting direct replacements. Replacing the water seal however was not so easy as it was already hacked together and had no life left in it. We could not find a direct replacement and so purchased a modern seal and decided to modify the pump to suit. For this I will be using my newly modified CNC router. I bolted the pump housing down with some 8mm rod I added some thread to as I didn't have any bolts long enough, these went through diagonal mounting holes of the housing, this let me have some control on how flat the whole thing was. The impeller was much easier to secure down. The following video shows the milling operation cutting into the cast housing. The plan is to glue in a lapped stainless steel washer to be a nice surface for the modern pump seal to seat against. 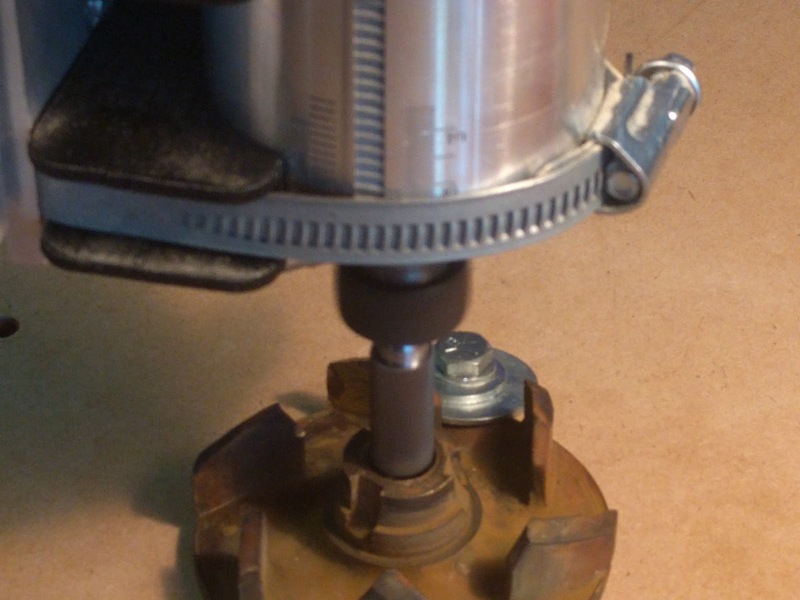 The next step was bringing the outer diameter of the impeller down to suit the modern water seal. I needed to find the center as a reference to my CAD so I used my multi-meter to do a continuity test between the router and the part. By jogging the machine very slowly I would hit the edge of the circle and my multi-meter would buzz, I took note of those co-ordinates and tested 2 other points, this let me calculate the center. Video of the operation, all my path files were generated using Fusion 360. End result is good as we wanted it the same diameter as the shaft. Here it is after fixing the fuel pump and water pump. I want to do some more restoration or at least a few things to stop it deteriorating any further. 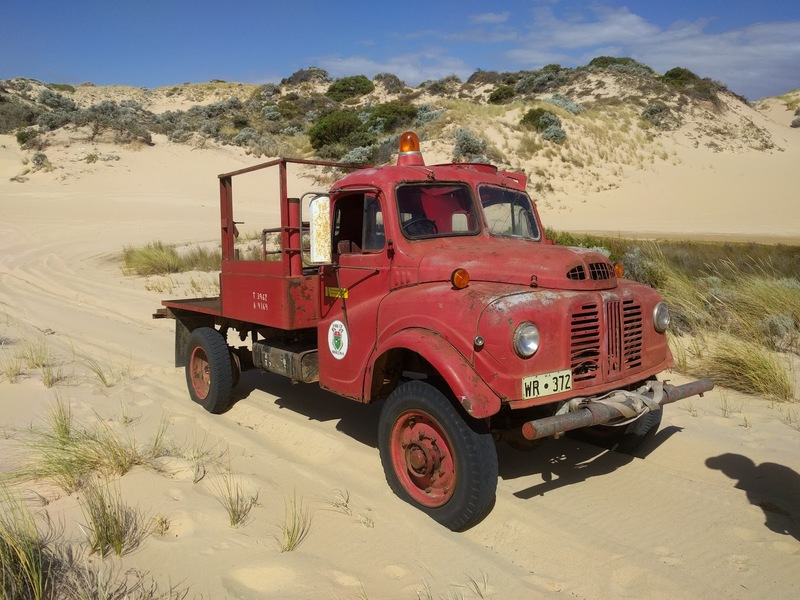 Some day I would love to take it on the Variety Bash which is a charity event where old vehicles are driven through Western Australia to raise money for disadvantaged children, but that is well in the future. 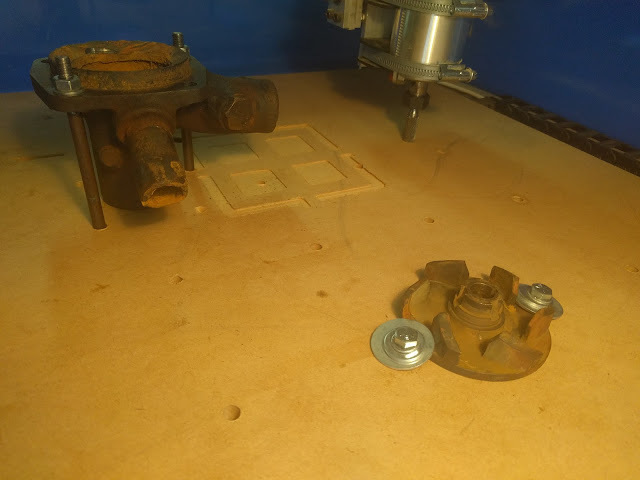 hi, is it as simple as machining the housing and impellor for a modern seal to rebuild the pump? i cant find a seal for my k4 and im getting desperate. i have no cnc skills but i can probably find one somewhere to help me out. what is the seal you used for the pump if you remember?